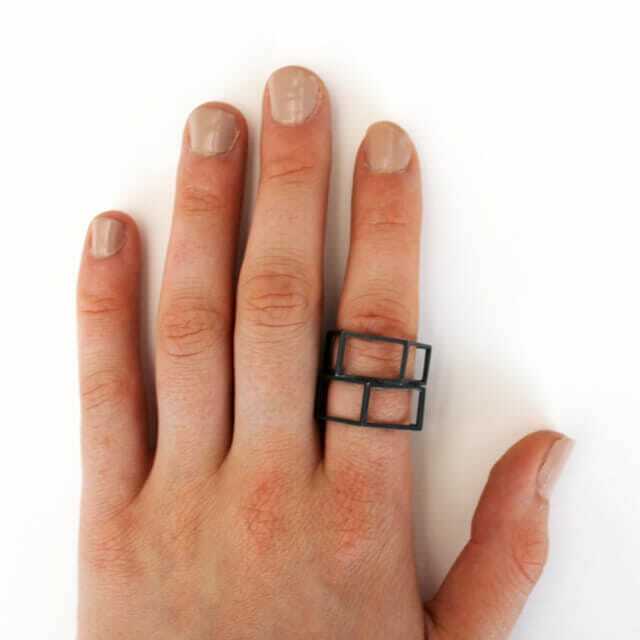 A minimal, oxidised silver ring. 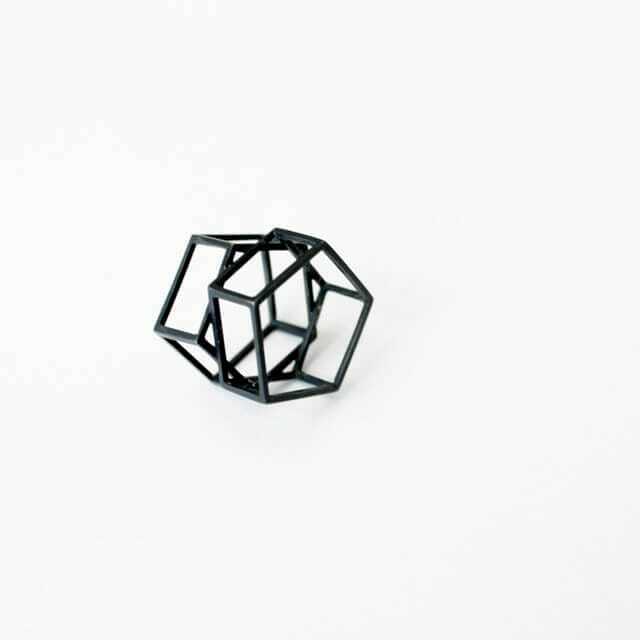 The stacked pentagonal shape makes this a simple yet unconventional design. Inspired by distorted reflection and space within the urban environment, this minimal ring is influenced the fragmentary nature of observation. The oxidised finish emphasises negative space and form; contributing to the modern feel of this simple, everyday piece.